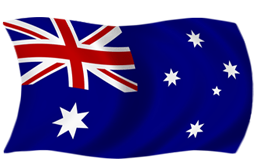 The Australian chapter (VKFF) of 'World Wide Flora & Fauna in amateur radio' (WWFF) commenced in March, 2013. The VKFF National Awards were initiated at this time. There had been prior activations here in Australia when the program was known as World Flora Fauna (WFF). For a full history of the WFF and WWFF programs, please see the dedicated WFF/WFF History page on this website. Please send your activator logs to the relevant State/Territory representative. e.g. you activate a park in VK1, the log goes to Ian VK1DI, irrespective of your home call. Western Australia (VK6) & Northern Territory (VK8).